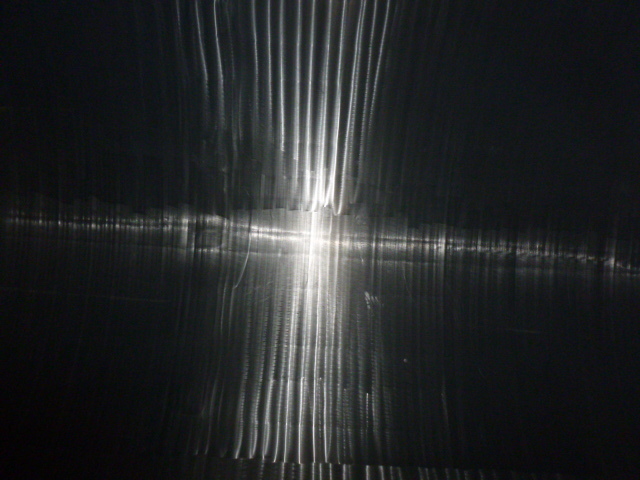 Tanks can reach the end their useful life for transporting liquids yet still have a fully functional stainless steel cylinder at their heart. 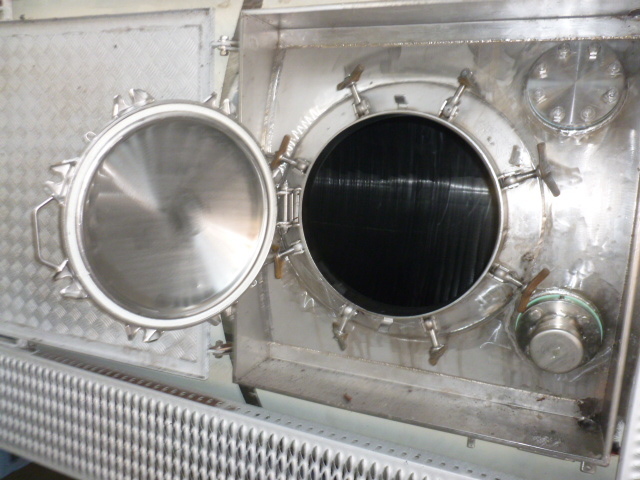 These tanks are often used for storing non corrosive liquids, for example, waste water. They may not look pretty but from time to time we have a customer who simply wants an old tank for storage. 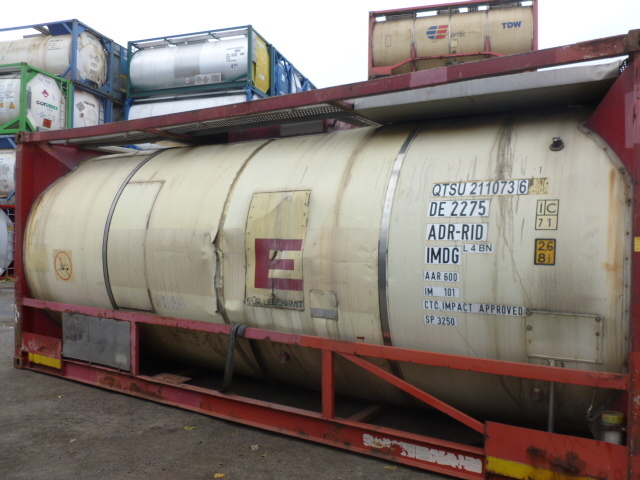 Get in touch and we can see if we have such tanks available. 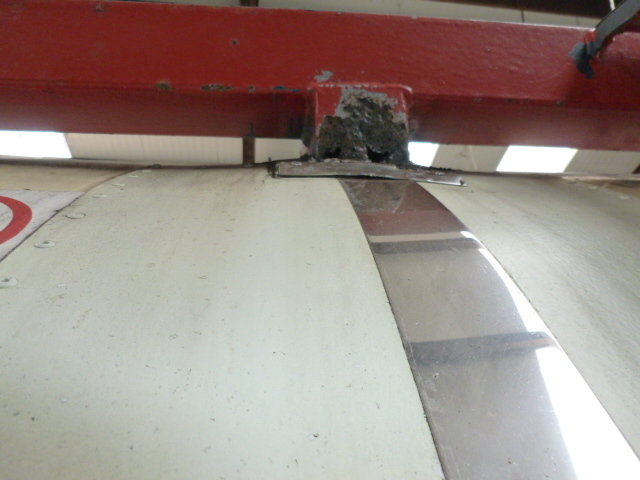 Below is one in our depot which has a badly corroded frame but a spotless tank inside. 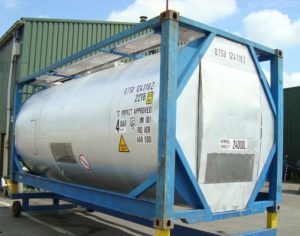 We used to dispose of tanks as scrap like this but found that there was a market where they met a need for a stainless steel storage tank without a strong frame, thereby saving our customer thousands of pounds. This tank has been acid washed and pressure tested to 21psi. If located indoors it is a cheap storage container. Contact us if interested.